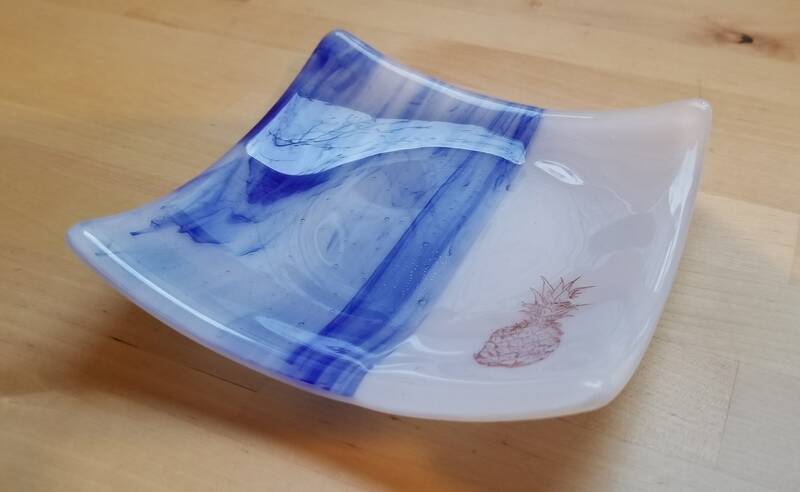 This is a listing for a glass fused dish measuring approx. 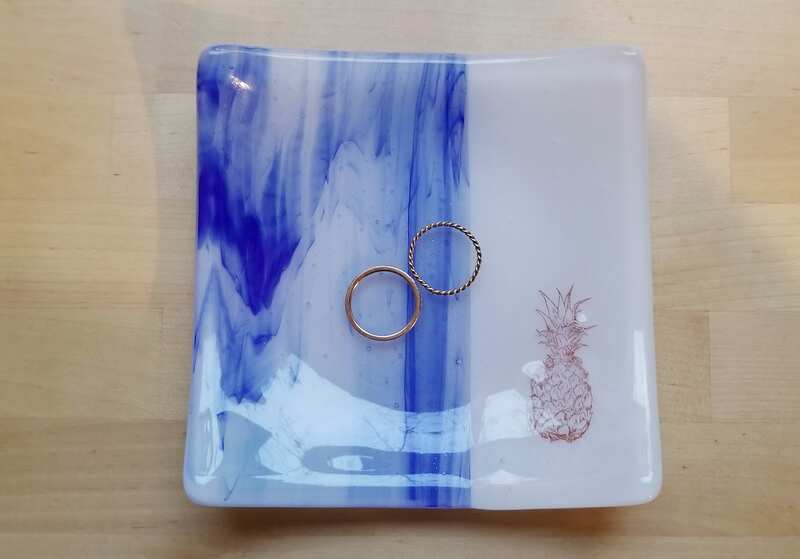 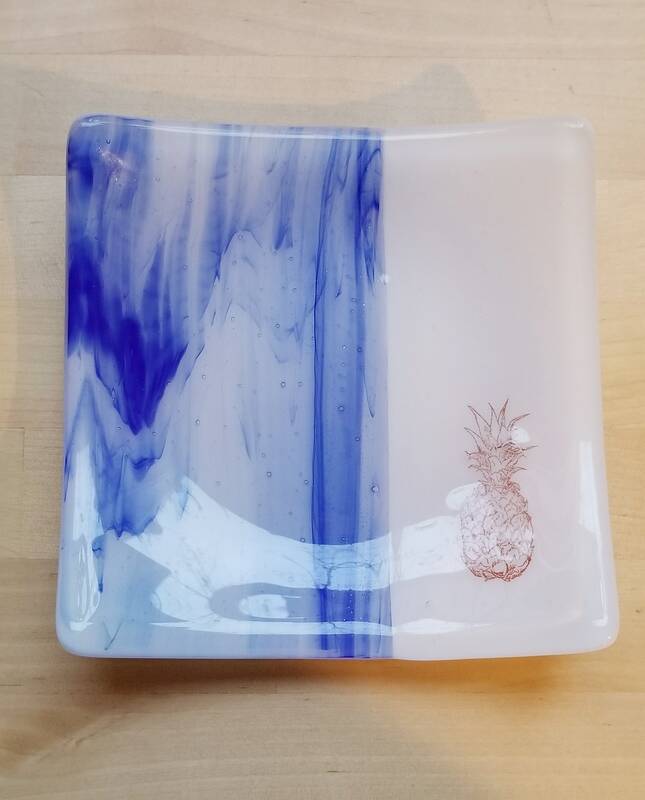 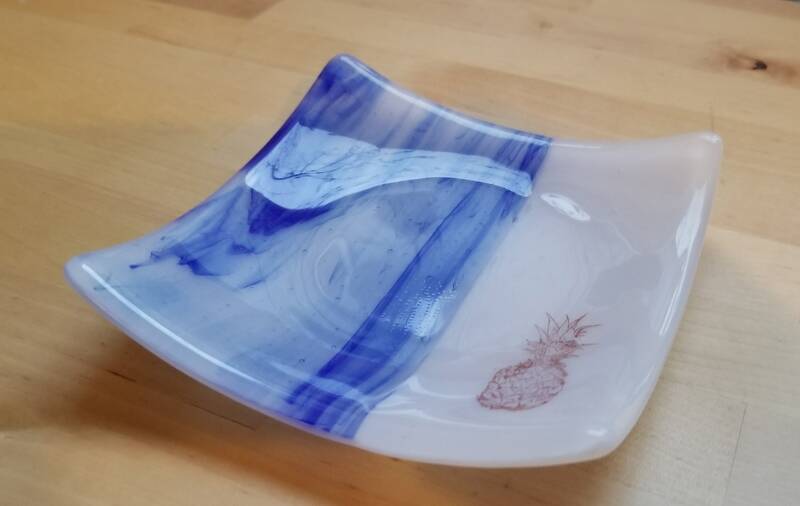 5"x5" in white and blue swirl glass with an image of a pineapple. 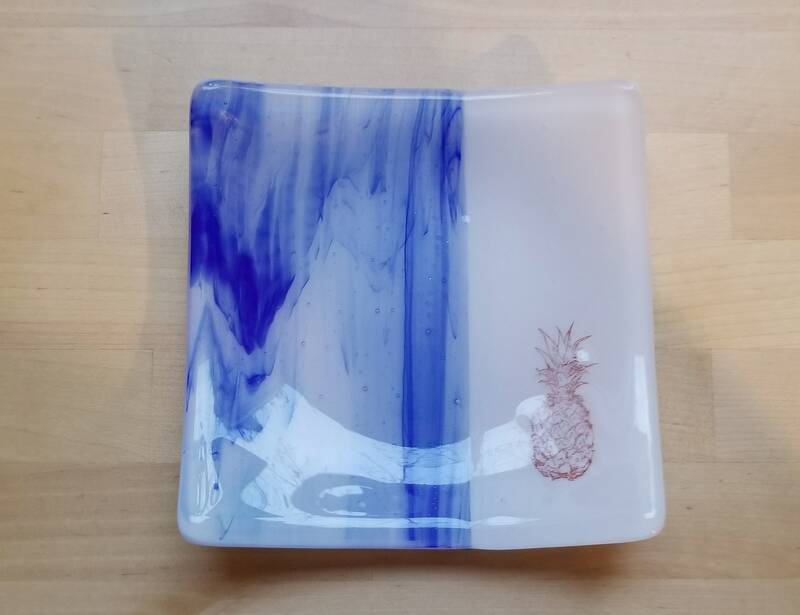 Pineapple looks reddish-brown. 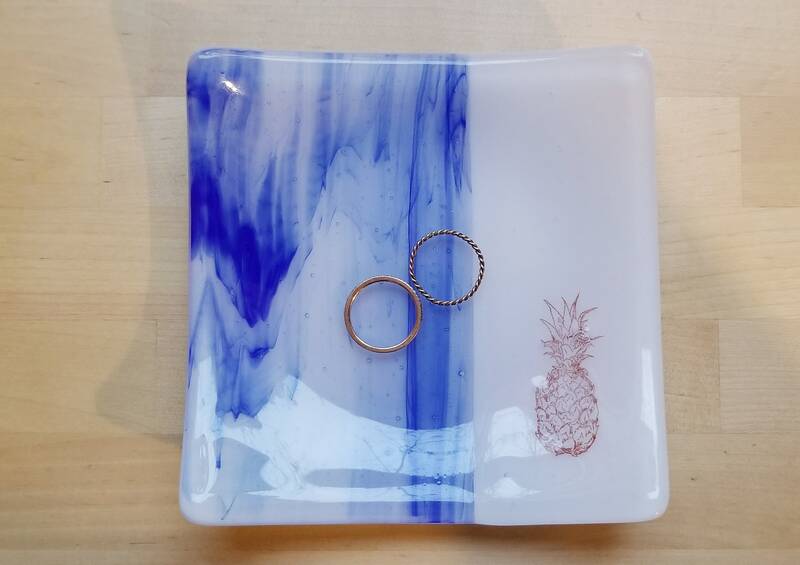 Glass is COE90 and is perfect for rings or other small trinkets (rings not included).